Does anyone have the Mercedes Part numbers for the OEM Aluminum Pedals for the accelerator, brake, and parking brake? (These are the pedals you seen on the E-Class outside of the US and on the E63). I've tried going to my dealers parts department, but they can't seem to find the correct parts. I am looking for something like that, too. but i have a feeling that they are not cheap. i heard they are not cheap. most people resort to getting the medals screwed on. same look, similar feel, just not OEM. 1. A 170 300 00 04 (accelerator), replace the whole pedal. 2. A 170 290 01 82 (brake pedal cap). 3. A 203 430 00 84 (parking brake cap). All 3 pieces cost around $50.00 at your MB dealer, usually they do not have it in stock, they can order for the next day pick up. It's easy 30 minutes DIY. Do you know the part number for the same style floor plate on the left side under the parking break? A 170 300 00 04 (accelerator) may fit to W212, but it looks different from W212 OEM aluminum accelerator pedal. I attached pictures of W212 OEM pedal and A 170 300 00 04 pedal. I want to get the W212 OEM aluminum accelerator pedal. Anyone knows part number? Sorry, I do not know the " dead pedal " part number. May be other member have access to the part list can get it for you. Those are for the W211 model right? 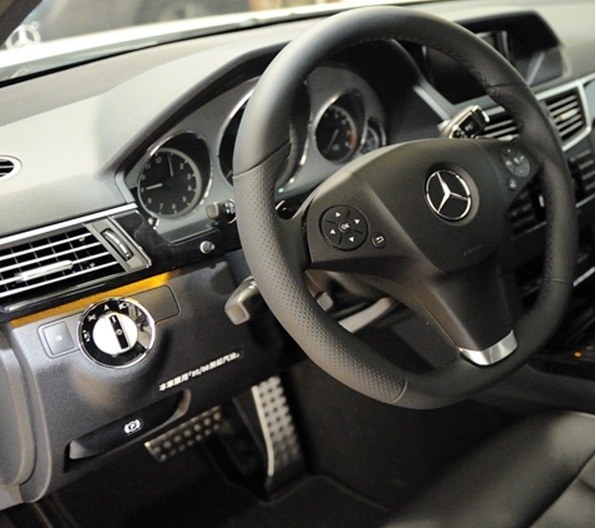 The accelerator in the pic looks like its from the W211 and it will not fit on the W212. W204 aluminum accelerator pedal looks very similar to W212's. Anyone knows part number of W204 aluminum accelerator pedal? Anyone can confirm it fits to W212? Yes, theses AMG's pedals fit W210 & W211 model, I do not know for sure it will fit W204, W212 or W221. It look @ the pictures of W212, it's little wider @ the base (floor board), but the connector is on the top on the accelerator is the same. These are for the w211 am I correct? 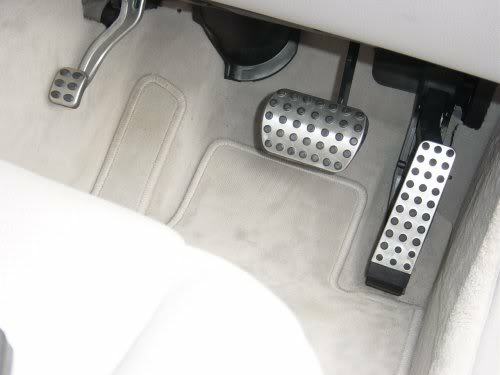 As for the accelerator, how do you replace the entire pedal? Yes, theses pedals fit W210, W211, W203, W208, W209. There is a lock pin on top of the accelerator, release the lock pin, take the WHOLE unit out (rather than the cap on main brake & parking brake), lign up the lock pin in the hole, insert the lock pin (reserve the action when you take it out), then you are done. Does anyone have the OEM rubber E pad cover to sell? I see all the guys wanting the cool metal pedal covers, but I'm having trouble finding the standard rubber one that was missing on my E320 when I bought it used. I'm sure the dealer has one, but do any of you guys have an old one you took off the W211 that you'd sell me? I just need the emergency brake pedal pad - black rubber....no frills....and yes, boring. When I ordered mine from the dealer, they told me there was no dead pedal cover available. Yes, it is a simple job to remove and replace. As a matter of fact, I am going out to the garage tomorrow to pull the accelarator again to install my "Sprint Booster" I just received. So all 3 of these pedals, total is only $50? Or $50 each? Total $50 for all 3 pedals. Last edited by dougiebear; 05-27-2012 at 10:09 PM.